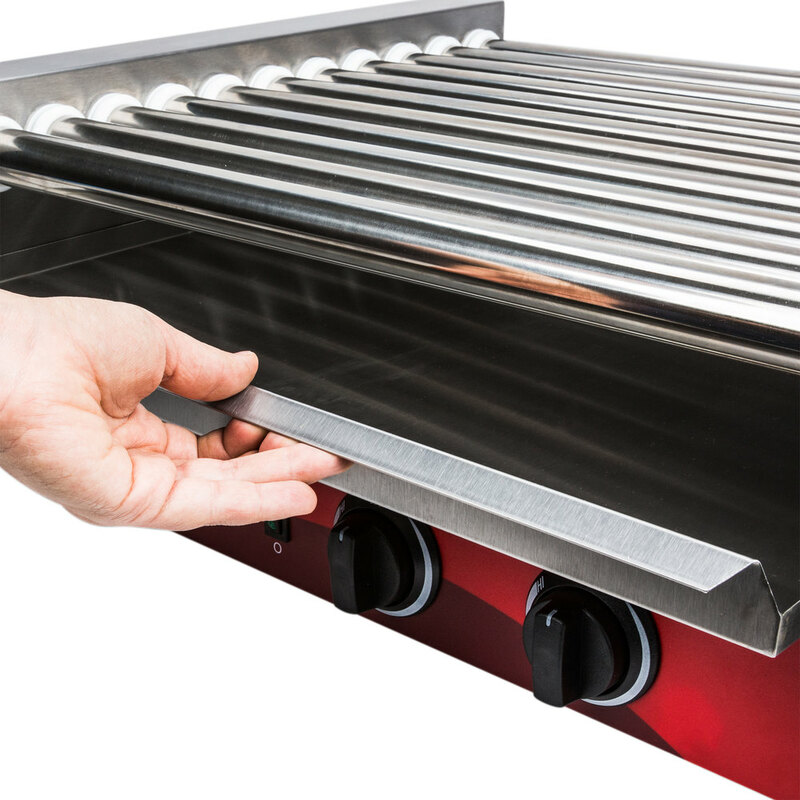 Perfect for light duty applications like concession stands and snack bars at local sporting events, town fairs, or even small public golf courses, this Avantco RG1830 roller grill is sure to entice hungry customers with the sight and aroma of plump, juicy hot dogs, sausages, and other tasty snacks! 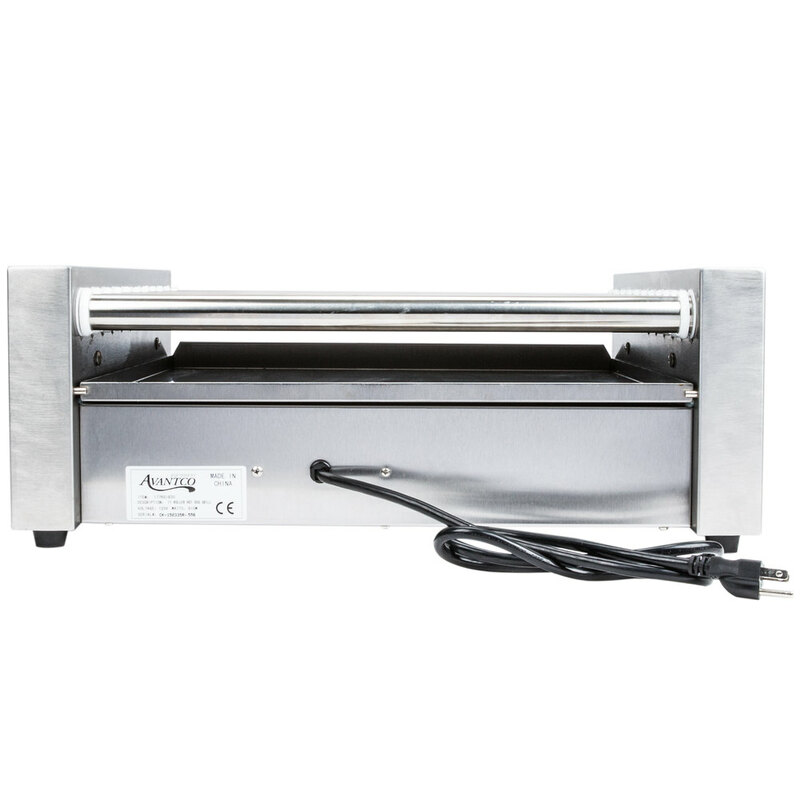 This grill holds up to 30 hot dogs and features two temperature control switches so you can keep product warm on one group of rollers while quickly cooking on another group of rollers. 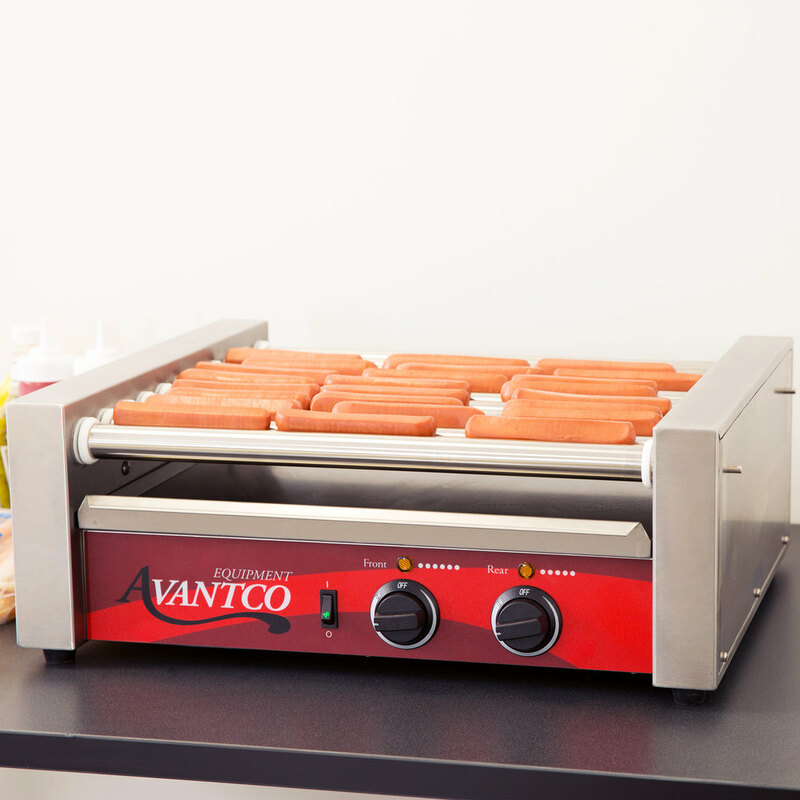 The Avantco 30 hot dog roller grill is also a great addition to convenience stores and sandwich shops looking to add quick, grab-and-go items to the menu without breaking the bank, giving you a durable and efficient machine at an affordable price! 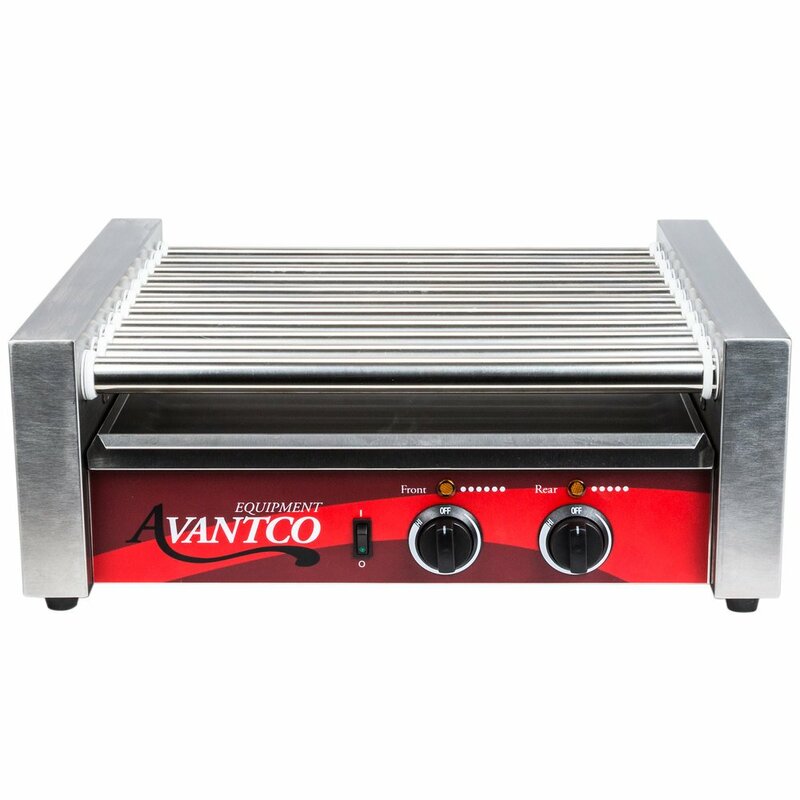 The all stainless steel construction is supported by sturdy, non-skid feet and boasts a removable drip tray that makes cleaning a breeze. It requires a 120V electrical connection. Front to Back: 18 1/4"
Good product. Works great. Sometimes it’s hard to clean the steal rollers. But other then that it works great. I would recommend it to others. I'm not using this product for its intended use, that is, as a hot dog roller. In a lab setting, it works great to evenly coat the inside of glass bottles with insecticide for insecticide resistance testing to see if mosquitoes have become resistance to a certain insecticide. Bought this machine for our pool window. Serves its purpose and works well. 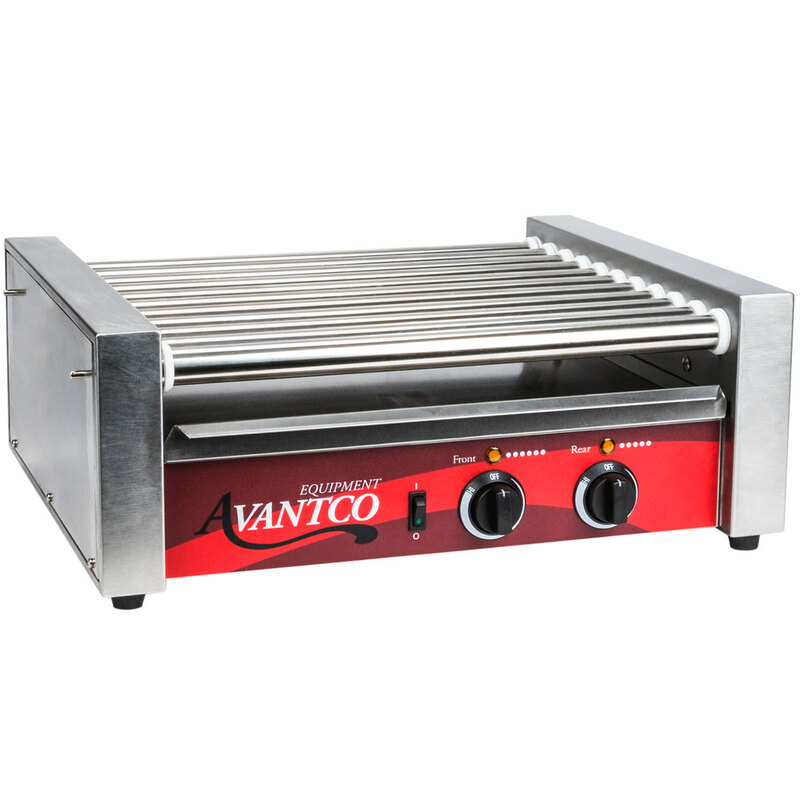 It never throws breakers and always heats fast. If the hotdogs aren't completely straight sometimes they tend to roll off the back but I would buy again if I needed. 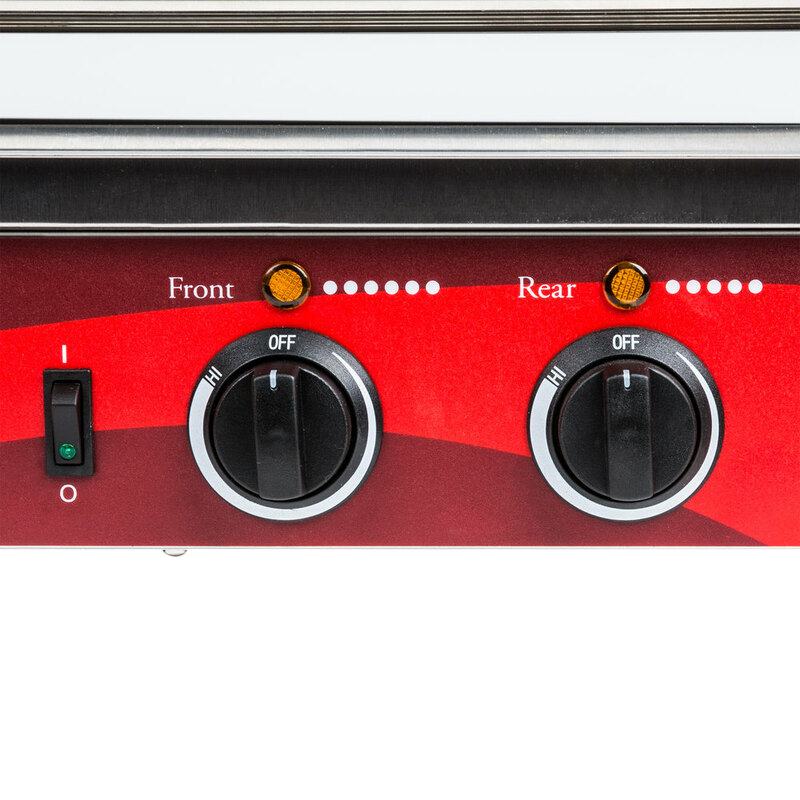 Great for traditional 6:1 or 4:1 hot dogs. 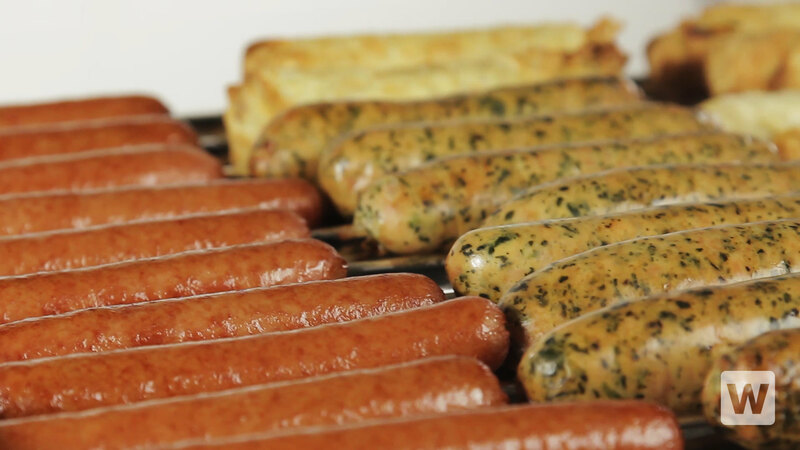 Struggles with foot long dogs, or anything of greater diameter in width, like brats. Pretty basic unit that does the job. Adjustable temperature dial, but not much difference between "medium" and "high", so, we'd turn temp down a bit, but would have to turn all the way down to have any temp difference. Jennifer Z. from Dante's Restaurants, Inc.